Oro Valley's Got Talent Finale. This is it! After months of preliminary auditions and two rounds of semi-finals, the moment we've all been waiting for is upon us! The finals and awards for Oro Valley's talent competition. Who will it be? Kelly Clarkson? Clay Aiken? That little girl with the yellow pants and the ukulele? Unless any of those people live in Oro Valley, then probably not. This is about homegrown talent, baby. And this is a really neat chance to step back and realize just how many of your neighbors are full of secret, impressive skills. First-place winner gets $1,000, and second place gets $500! 2 and 6 p.m. Sunday, Aug. 19. The Gaslight Music Hall, 13005 N. Oracle Road. $15. Gary Steigerwald and Diana Muller Piano. The fall arts season is upon us! Which means it's time to drop your jaw to the floor while you watch a pair of hands fly across a piano keyboard. Or, alternatively, you could watch TWO pairs of hands (married hands, no less!) fly across the keyboard in this Arizona Friends of Chamber Music show, where a husband-and-wife team will be playing Schubert, Mendelssohn, Daniel Asia and Ravel. Put on your fancy pants and prepare to be blown away. Wine and hors d'oeuvres (included with ticket) begin at 7 p.m. and the one-hour concert begins at 7:30 p.m. Wednesday, Aug. 22. Holsclaw Hall, 1017 N. Olive Road. $30. Addicts Comedy Tour. 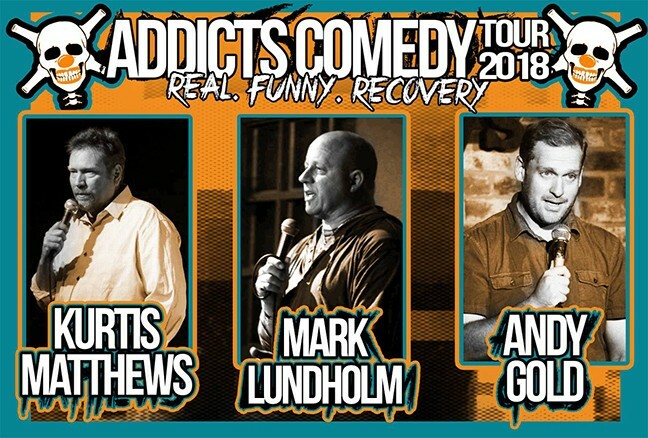 The addicts comedy tour team is made up of three guys who, between them, have more than 70 years of recovery from drug and alcohol abuse under their belts. And they're very much of the philosophy that laughter is what will get you through the toughest of times. (Only Kurtis Matthews and Andy Gold will be at this show, but they still have 40+ years of stand-up comedy and recovery to bring to Tucson.) Comedy has helped them to heal, but their colorful stories about life, love, jail and rehab are also sure to get you laughing as well. Recovering alcoholics, addicts, codependents, family members and friends of people in recovery or formerly in recovery, or just plain ol' stand-up comedy fans are all welcome! 6:30 to 9:30 p.m. Thursday, Aug. 16. Tucson Jewish Community Center, 3800 E. River Road. $20. Stand Up 101 Class Showcase + Carnival Diet. Students over at Tucson Improv Movement just spent six weeks honing their comedy chops, and they're ready to show off their stuff. You're not going to want to miss this opportunity to see what just a month and a half of classes can do to a person's sense of comedic timing and ability to go with the flow. In addition, Carnival Diet, one of Tucson Improv Movement's house teams, will take a suggestion and weave you a world that's as weird and wonderful as a carnival—vomit-inducing rides, fantastical performances, fried miscellany and all. 7:30 to 8:30 p.m. Friday, Aug. 17. Tucson Improv Movement, 414 E. Ninth St. $5. Sizzling Summer Nights. The last iteration of this beat-the-heat event at the Jane Hamilton Fine Art Gallery is upon us! Their philosophy at the gallery is simple: Yes, it's absurdly, unreasonably hot, but, hey, at least the town has slowed down for the summer and the restaurants are less crowded. It's the perfect time to take a deep breath and relax, then to head over to the gallery for some more relaxing, but with wine, music and food. Ahhhh, summer. 5 to 8 p.m. Saturday, Aug. 18. Jane Hamilton Fine Art Gallery, 2890 E. Skyline Drive, suite 180. Free. Flashlight Night at the International Wildlife Museum. Scientists have puzzled over the issue for decades, because there's really no rhyme or reason to it, but most everyone agrees than any game becomes more fun when you're playing it in the dark with flashlights. 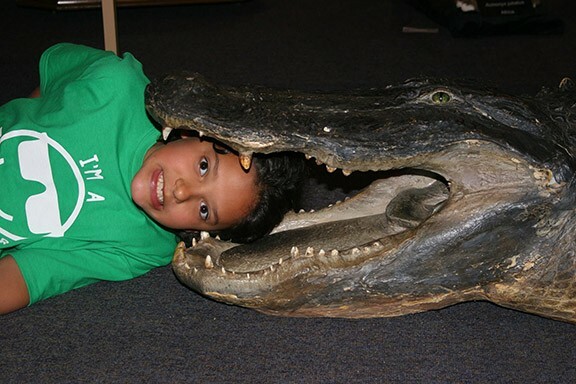 And kudos to the International Wildlife Museum for recognizing this with this night where you can hang out with reptiles and insects, take safari selfies, watch movies and participate in a spotlight scavenger hunt. Archery is available for ages 9 and up as well. Lights go out at 6 p.m., but feel free to come earlier if you want to see the museum with the lights on. 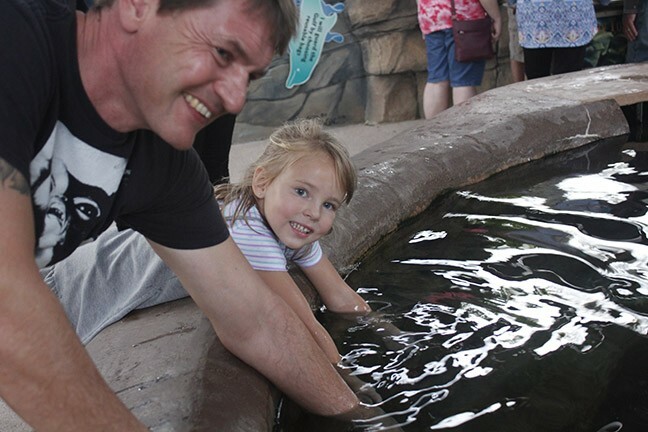 It's open from 9 a.m. to 8 p.m. Saturday, Aug. 18. International Wildlife Museum, 4800 W. Gates Pass Road. $10 adult, $7 senior/military, $5 kids 4 to 12 and free for kids 3 and under. Archery is two bucks per person. Cool Summer Nights at the Desert Museum. It's time someone said it: Sometimes not even the nights are that cool during the Tucson summer. But you know what? Heading out to the Desert Museum is still worth it. This week at their "Creatures of the Night" event: live presentations from the Herpetology Department featuring venomous reptiles, two "glow & flow" yoga sessions offered by Tiffany Georgia from Tucson Yoga Studio (glow sticks will be provided!) and a photography workshop by Jay Pierstorff all about using flash correctly. Plus all the usual fun in the form of fine art exhibits, the stingray touch exhibit, docent presentations and the Packrat Playhouse. 5 to 10 p.m. Saturday, Aug. 18. Arizona-Sonora Desert Museum, 2021 N. Kinney Road. 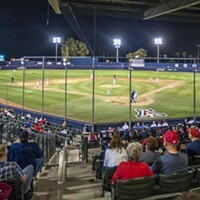 $22 GA, $20 seniors 65 and up, $9 kids 2 to 12, $18 military, $17 Arizona/Sonora resident. Cardio Party-O! Dance Workout. Dance your way over to Fourth Avenue to shimmy your troubles—and your calories—away. Hosted every Wednesday at Floor Polish by Marina, this class combines everything from old school hip hop to cumbia and from disco to Bollywood. All of the moves are unique but relatively easy to follow, so it's perfect for people without dance backgrounds, or just for people who hate the gym. It's less of a "gym rat" atmosphere and more of a "house party" vibe, which we didn't realize until this very moment is exactly what we're looking for in a workout. 5:45 to 6:45 p.m. Every Wednesday. Floor Polish Dance Studio, 408 N. Fourth Ave. $6 drop-in, or pick up a five-class pass for $25. Yoga for Stronger, Healthier Bones. Yoga is supposed to make you feel stronger and more capable, but if you're dealing with bone troubles like osteoporosis or osteopenia, then the varied weight distribution that comes with it might not sound too fun. But at this class, you'll learn 12 poses to help enhance bone strength, and also exactly which poses to consider avoiding if you're dealing with weakened ones. There will also be discussion about the benefits of yoga for bone density, balance, strength, range of motion, coordination, anxiety and fall prevention. Whether you're brand new to yoga, or a yoga teacher looking for ways to better serve your students, you bone't want to miss it. 2 to 5 p.m. Saturday, Aug. 18. The Yoga Connection, 3929 E. Pima St. $35. Women & Money Masterclass. As a print publication, we've had our fair share of moments where we realized we had more month than money. And really, who couldn't benefit from a YWCA-hosted class on how to create a realistic financial plan, to work with the money you have and to master the art of negotiating? This weekend is part two of this master class, and it's called "Let's Get Real About Money." 9 a.m. to noon. Saturday, Aug. 18. Frances McClelland Community Center, 525 N. Bonita Ave. $60. Field Studies Class: Rain Garden Care. You fill your garden with plants that don't need too much water, because we're in the middle of the desert. And then monsoon season comes and threatens the whole empire you've built. What do you do? 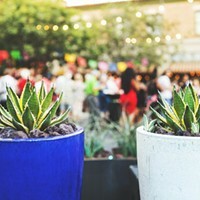 You go to this seminar by the Watershed Management Group, where they're going over proper care for different plant types, how to identify and solve potential rain garden issues, watering schedules, seasonal plant needs like trimming and weeding, and more. There's an indoor classroom session as well as some hands-on outdoor work, so come prepared—and dressed—for both. The class is designed for new gardeners or new-to-the-Sonoran-Desert-gardening-environment gardeners, but all are welcome. 5 to 7:30 p.m. Thursday, Aug. 16. Watershed Management Group, 1137 N. Dodge Blvd. $15. Valley of the Moon Historic Tours. If you don't know much about how the Valley of the Moon got started, for now we'll just tell you that it involved a Spiritualist preacher, a little girl sick with tuberculosis and about 800 sacks of cement. But we don't want to spoil the story. Head over there this Sunday (or any third Sunday, really) to take a tour and go behind the scenes to learn about some of the history and stories behind this magical little corner of the world. 6 to 8 p.m. Sunday, Aug. 19. Valley of the Moon Tucson, 2544 E. Allen Road. $5 adults, free for kids 12 and under with adult, members and teachers. College and Career Day at the Library. The period after graduating from high school can be pretty confusing. How do you make a resume? What do you put on a resume anyway? What the hell are you supposed to major in? How does financial aid work? Don't worry, though: You're not alone. 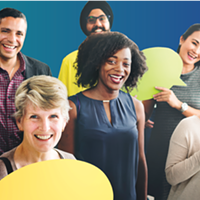 The Joel D. Valdez Main Library is putting on this event full of college- and career-related workshops led by the Library's Idea+Space staff, Pima Community College and Earn to Learn. Reps from ASU, NAU, UA,, Prescott College and the Metropolitan Education Commission will also be on hand to answer questions. The event is open to the public, so you don't need to be a recent high school graduate to swing by and pick up some knowledge! 10 a.m. to 2 p.m. Saturday, Aug. 18. Joel D. Valdez Main Library, 101 N. Stone Ave. Free. 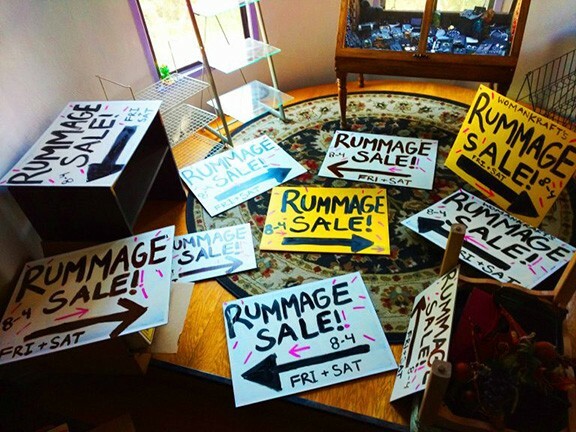 WomanKraft Rummage Sale. You were probably looking for the perfect way to support the mission of validating and empowering women artists and other underrepresented groups this weekend, so we are pleased to tell you that there's a perfect event for that—one where you can walk away having gained more than just a good feeling. This rummage sale has toys, decorations, art books, novels, household items, tools, records, furniture, a huge variety of art supplies... and the list goes on. Pick up the piece you've been looking for to complete your wardrobe, or to tie together the décor of your living room. Bring a friend! Come more than once! Just don't miss out! 8 a.m. to 4 p.m. Friday and Saturday, Aug. 17. No early birds, please! 388 S. Stone Ave.
5 Points Farmers Market. You can never have too many farmers markets! Especially farmers markets like Grassroots, which charges nothing for their farmers to sell goods. Head over to 5 Points for a heaping helping of food that's local and sustainable. Try the organic produce! The antibiotic- and hormone-free meats! Even some baked goods and hot coffee from 5 Points to munch on while you shop! You'll walk away feeling good—not only because you got up before noon on a Sunday, and not only because you're going to fill up on foods that are good and good for you, but because you're supporting local farmers. And that's pretty dang cool. 8 a.m. Sunday, Aug. 19 (and every Sunday through Dec. 2). 5 Points Market & Restaurant, 756 S. Stone Ave. Free. Is This Thing On? Emo Night Tucson. Tucson is still reeling from the closing of the Flycatcher, but in the wake of the storm, one of the bar's moodiest events will live on. Emo Nights, which are known for being all vinyl, all emo, all the time, have moved right on over to Cobra Arcade. This Thursday is the very first night that the event will take place at its new home. So bring your quarters, bring your American Football song requests, bring your denim jacket and bring your broodiness, because #emonighttucson is still in business! 9 p.m. Thursday, Aug. 16. Cobra Arcade Tucson, 63 E. Congress. Free. The Gaslight Music Hall Car Show. It's that time of month again! This family-friendly event is the perfect opportunity to unwind in the midst of all this back-to-school stress. Listen to some old school tunes, check out some beautiful cars and talk to people who love cars as much as you do—or, if you're not super, super into cars, talk to people who can teach you all sorts of cool things about cars. Of course, don't miss the delicious, classic diner food being served up at the Gaslight Music Hall, because most experiences are made better with French fries. 4 p.m. Saturday, Aug. 18. The Gaslight Music Hall in Oro Valley, 13005 N. Oracle Road. Free. Planets on Parade. You wanna see some planets? You wanna see some planets that are practically putting on a little show for us Earthlings? Mars and Earth came the closest to one another since 2003 at the end of July, Jupiter and Saturn are prominent right now, and Venus is starting the show at sunset. The night includes a light supper, a sunset viewing and a chance to look through the Kitt Peak Visitor's Center 20-inch telescope while you learn about the history of planetary exploration. The final portion of the night includes telescope observations of the planets and other celestial spectacles. Bring layers, as it tends to be 10 to 20 degrees cooler up there (thank God). Make reservations in advance, and keep your cell phone handy, because they'll make calls at 2 p.m. on the day of the event to let you know if it's still on or if it's cancelled (hard to see the stars when it's cloudy, you know). Thursdays through Mondays through Aug. 31. Kitt Peak Visitor's Center doesn't have an address, but its coordinates are Lat. : 31.96, Long. : -111.598. See their website, noao.edu/kpvc/, for more information. $75 if reservations made online, $80 if by phone. Tucson's 243rd Birthday Party and Happy Hour. Some people's drinking slows down as they get older, but Tucson's nearing a quarter of a millennium, and it's still all about that happy hour, which its residents certainly appreciate. The Tucson Presidio and the Tucson-Pima County Historical Commission are presenting this birthday bash at La Cocina Restaurant, where there will be live performances by Los Canguitos Feos and Gertie and the T.O. Boyz, VIP guests including the mayor, free birthday cake made by La Cocina's pastry chef and a special unveiling of the new Presidio Museum sign (that's at 4:15 p.m.). You can also take a free one-hour tour of the Presidio District with historian Ken Scoville at 7:30 p.m. 5 to 7:30 p.m. Monday, Aug. 20. La Cocina Restaurant, 201 N. Court Ave. Free entry.